On Friday evening the PTG at Fairview Elementary hosted an Art Show with the help of a company called ARTOME. 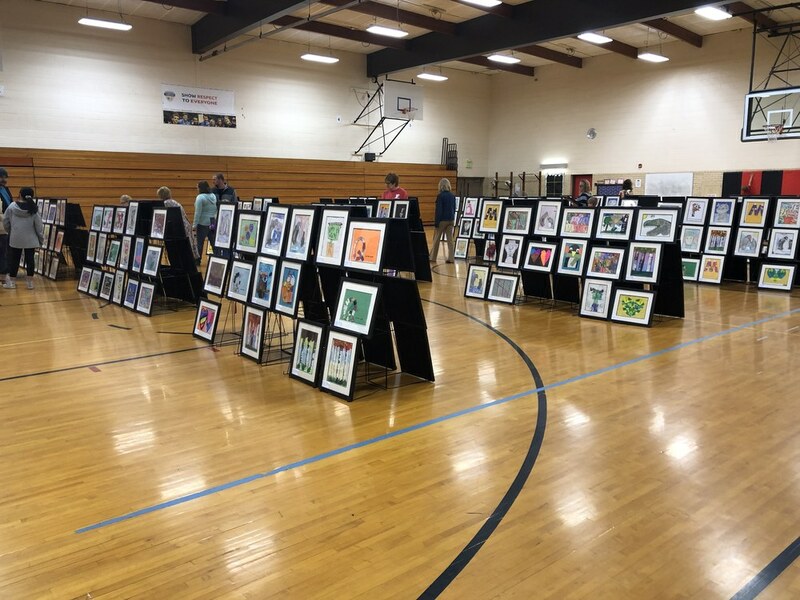 Fairview collected artwork from every student throughout the year and sent it to ARTOME to have the art pieces matted and framed. The Art Show display was set up and family and friends were given the option to purchase their students' artwork! Fairview Elementary students and their families enjoyed looking at all of the artwork on display! Our corporation is full of talented artists!